GSRTC Recruitment 2018 93 Clerk Vacancy Apply Online through Official website www.gsrtc.in. 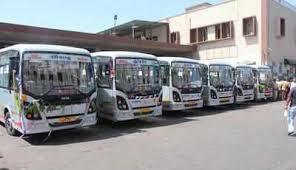 GSRTC invites online applications for appointment in following Clerk post in Gujarat State Road Transport Corporation. The last date for submission of online applications is 31.07.2018. Other Details Like age limit, Educational qualifications, Selection process, Application Fees and How to apply are given below. Candidates who have completed 10th or equivalent from a recognized Institute are Eligible to apply GSRTC Recruitment 2018. Pay Scale: Rs. 10,000/- PM.